Do you remember those questions in math that would ask ‘if John had 30 pineapples and he ate 7, how many pineapples would John have left?’ we all thought they were the stupidest questions, I mean how is John not full? 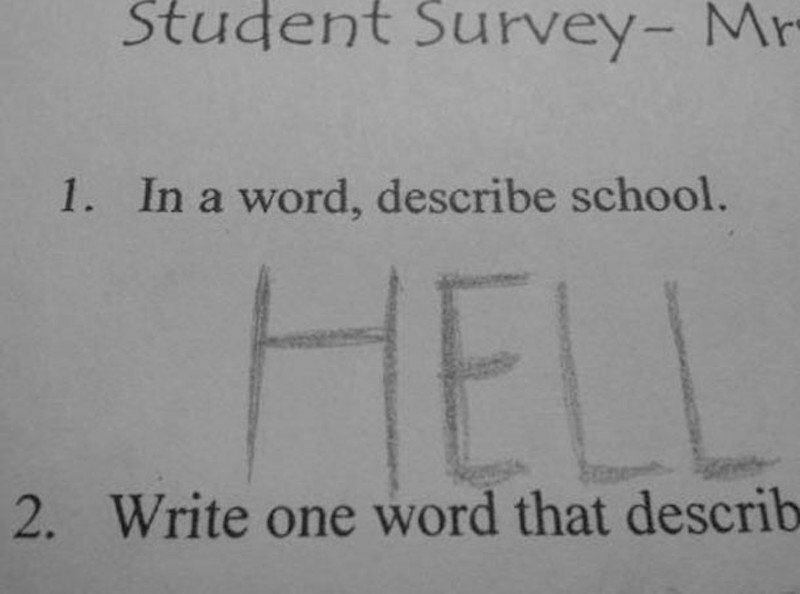 But if we gave an answer like that, our parents would most likely go crazy. 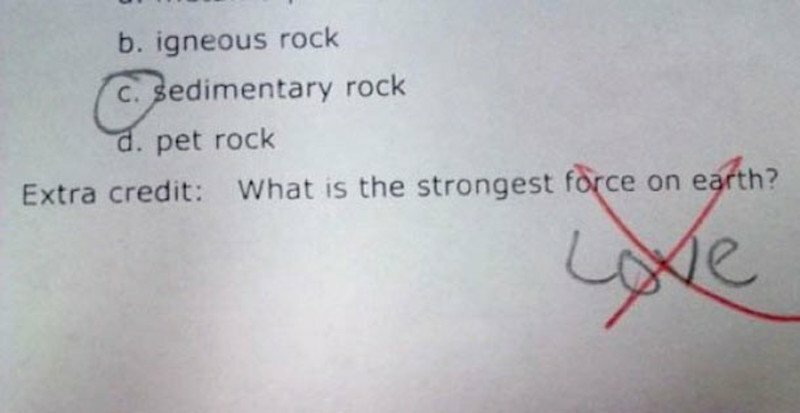 These kids had the guts to write the best and most hilarious answers to the silliest questions on tests, check out this list of 10 amazing test answers to see what you should have used in school. Would You Swim With Him? 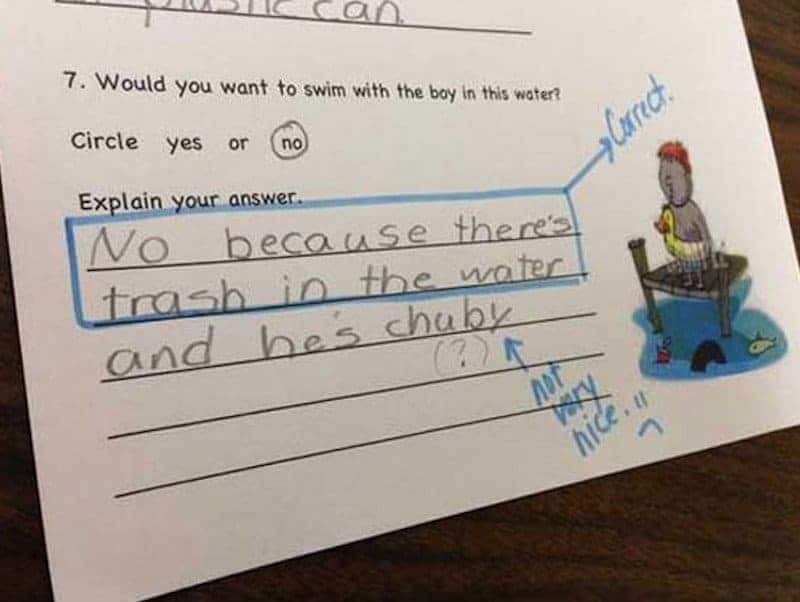 At least this child told the truth. 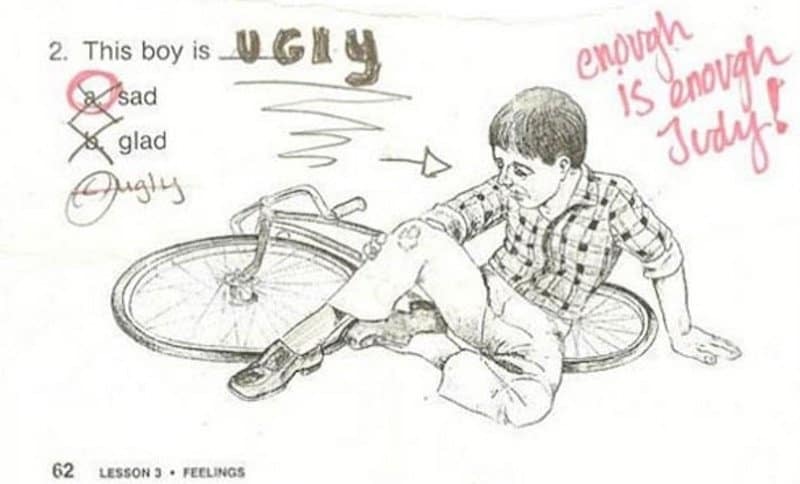 If the boy in this picture was real, he’d be sad that someone was calling him ugly. 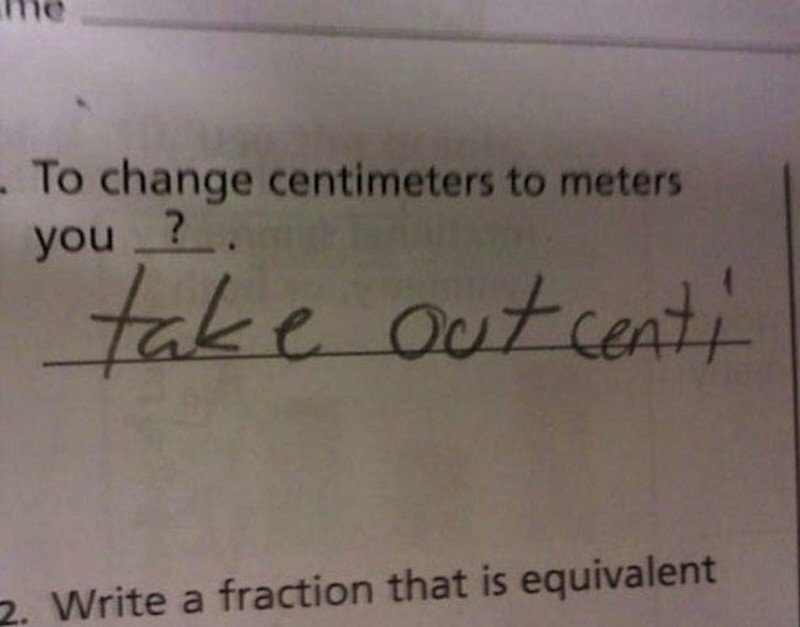 Well this is the smartest way to change centimeters to meters we’ve ever seen. 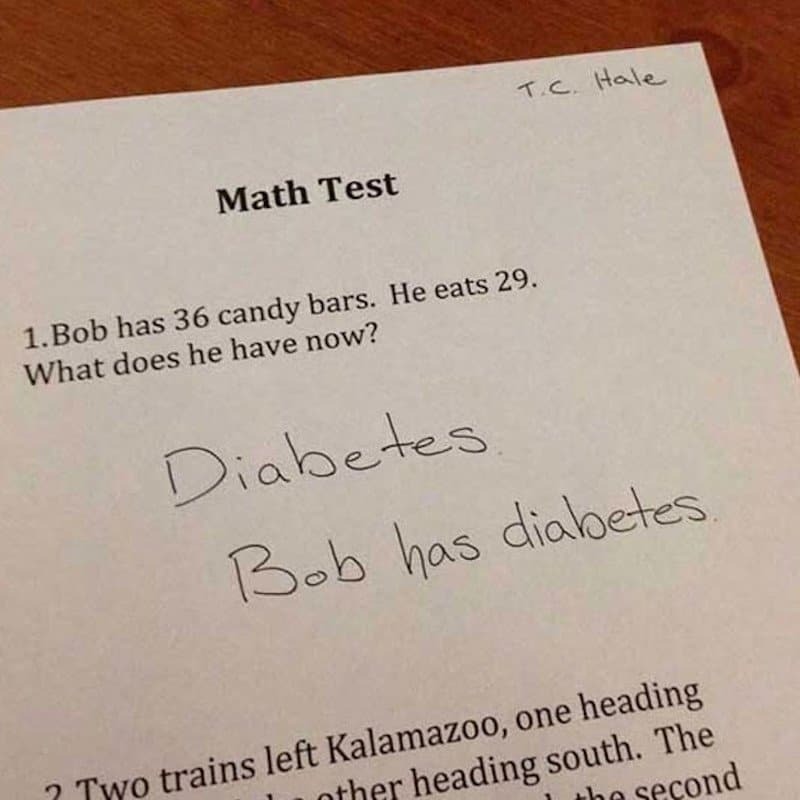 Everyone would be so happy if they could eat 36 candy bars and not get diabetes. Well everyone keeps telling us that love is the strongest force on Earth, so why can’t we use it as an answer? 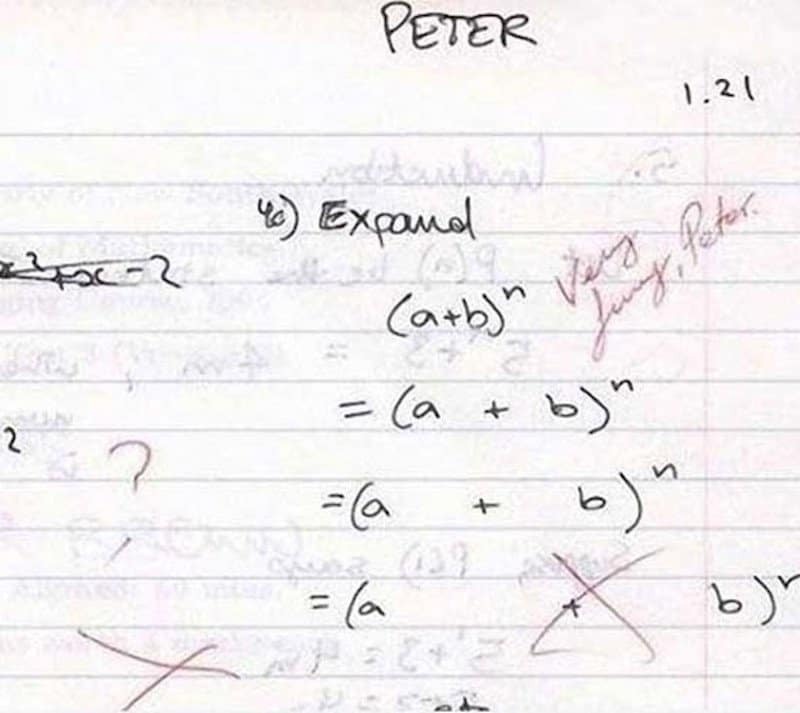 Well, technically he did expand it. What’s wrong with this answer? 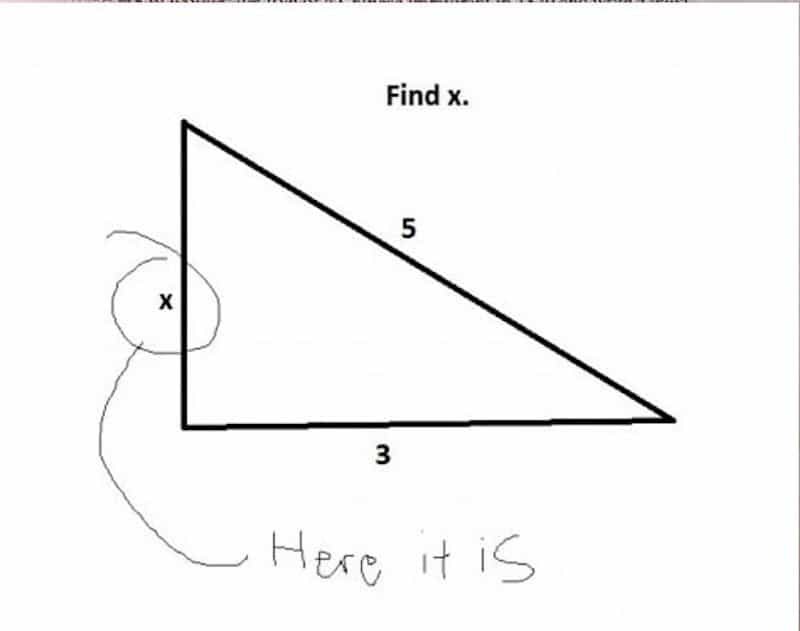 He/she found X. Maybe this was Beyonce’s test when she was younger? Maybe this kid had a few too many to drink he took the test. Thankfully this is just a survey and not an actual test, because we don’t think the teacher would like the answer very much.